Jubilee® is an internationally registered trademark that stands for the highest quality and reliability. 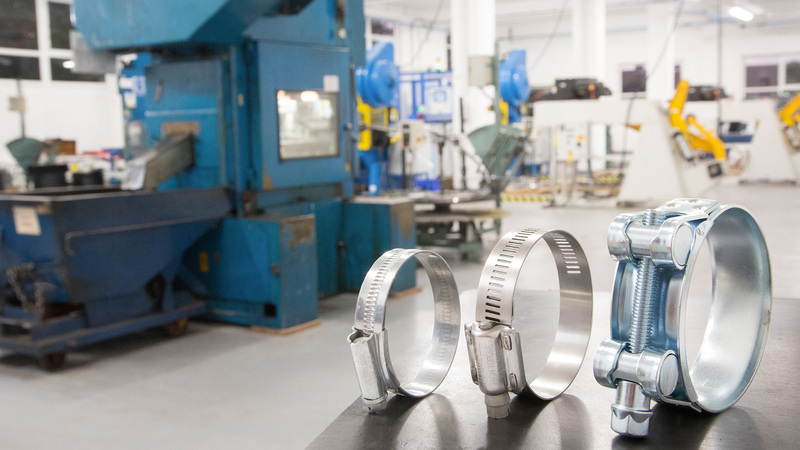 We have been producing hose clips and clamps since 1921 – making us the most experienced hose clamp manufacturer in the world. We use this vast experience, together with cutting edge skills and machinery, to engineer unrivalled products. We also provide a first class service: giving expert help and advice and export globally. Mild Steel All of our mild steel clips are protected from corrosion by a zinc coating and offer excellent corrosion resistance, comparable even to some grades of stainless steel. 304 Stainless Steel For more corrosive environments this high quality stainless steel provides excellent corrosion resistance, suitable for certain marine applications, and other situations where mild steel is not appropriate. 316 Stainless Steel (HNSS) For the most corrosive environments where only the highest quality materials are adequate, including extreme exposure to salt water and chemical environments, 316 grade stainless steel is supreme.